Pay-by-installment, sliding fee scale and generous financial assistance available! For more info contact Jonathan at jonathan@crocker.com. Performers embrace every element of the dramatic process from set building and design to music and choreography to acting and playwriting. Our approach is multi-disciplinary incorporating puppets, shadow screens, mask making, movement, physical training and work on spools and other large apparatus. The school’s playing field is home to our flying trapeze in autumn and spring where it’s used for the elementary school residency, seasonal recovery intensives, community-flying lessons and to provide additional paid internship opportunities for our college bound Recovery Theatre and Summer Workshop ensemble members. Seven aerial fabrics (circus silks) hang from the rafters of the school’s gymnasium and all-school space. Similar to the Summer Workshop, audience and performers journey together throughout the building from scene to scene. 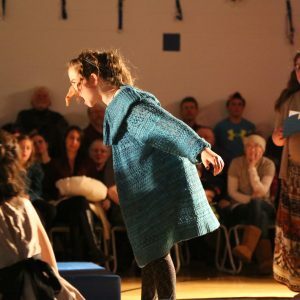 Over the last ten years, the drama program has unexpectedly evolved into a wonderful local tradition among its students, their families and the broader community—with each of the annual performances garnering standing room only crowds from Heath and the hilltowns beyond. 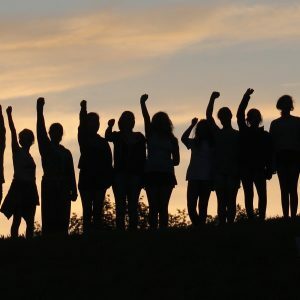 The Youth Residency Program serves students from all nine towns that comprise the Mohawk Trail Regional School District (MTRSD), all four of its elementary schools as well as students from neighboring schools districts. Families commute from 40 miles away on poorly maintained rural roads and highways in order for their children to participate. In addition to fostering a lifelong love of the arts, faculty have found students benefit academically as a result of their participation in drama, improving their reading skills and their test scores in the language arts. Our youngest thespian is five and our oldest twelve. 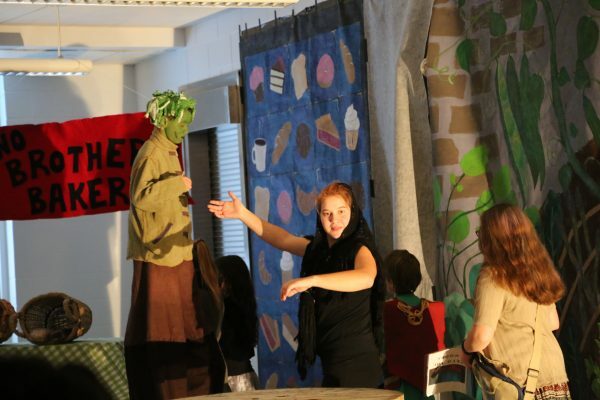 This year, eighteen middle and high school aged student-volunteers, members of the Summer Workshop and Recovery Theatre we affectionately refer to as “Arts Angels,” joined us at different times on the set to assist with the production.